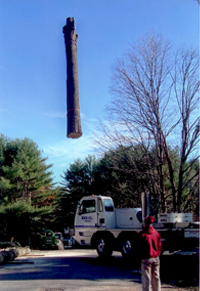 From 24-hour dangerous tree removal to pruning and stump grinding, AAA Tree Service is here to provide the Muskoka area with excellent workmanship that is focused on safety. We are a family business that thrives on personalized service and customer satisfaction. With specialized equipment like climbing and rigging gear, and a bucket truck and crane, there are no removal or trimming jobs AAA Tree Service can’t reach. We are fully insured and offer free estimates to our clients. AAA Tree Service also offers firewood and other quality materials for your property’s landscaping needs. During the winter we can help keep your family safe with experienced snow removal.